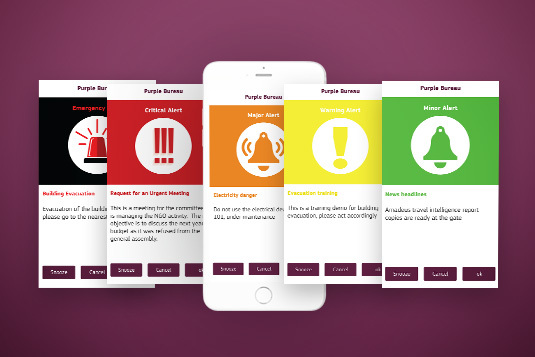 Ranging from Greeting to Urgent Alert notifications, Purple Bureau ensures you’re connected and up-to-date on what is happening inside the premises, giving you enough information to know the right time to step in. Six different levels of urgencies have been color-coded for a quick and easy follow up, making sure that nobody is left uninformed. Notify your colleagues, employees, your team for immediate meetings or actions.